Michael has a busy and diverse practice, encompassing all of Chambers’ areas of traditional and commercial chancery work. He appears regularly in the High Court and County Court, both as sole counsel and as a junior in a larger team. Michael’s particular interests are in all aspects of litigation and advice relating to trusts law. This encompasses both traditional private client work and pension schemes, together with professional negligence in those fields. He was recognised by the Legal Week Private Client Global Elite 2018 as “One to Watch”. British Airways v Airways Pension Scheme Trustee Ltd. Acting for British Airways in a long-running claim against the trustees of the Airways Pension Scheme for alleged breaches of trust in the exercise of discretionary powers, culminating in a 7-week trial before Morgan J, followed by a successful appeal to the Court of Appeal (reported at  EWCA Civ 1533) (with Michael Tennet QC and Sebastian Allen). Silentnight Group DB Scheme. Acting for the trustees of the Silentnight occupational pension scheme in a regulatory investigation by the Pensions Regulator (with Jonathan Hilliard QC and Jamie Holmes). FSCS and others v Estera Corporate Trustees (Guernsey) Ltd. Acting for a Guernsey trustee company in relation to claims for breach of trust, breach of fiduciary duty and negligence arising from the failure of the Freedom Bay resort development in St Lucia (with John Wardell QC). Acting (as sole counsel) for a scheme trustee in its successful application to the High Court for summary judgment in a dispute about the independent advice requirement in section 48 of the Pension Schemes Act 2015. Acting (as sole counsel) for a minor beneficiary in two sets of contested High Court proceedings, first pursuant to Schmidt v Rosewood Trust Ltd to obtain trust accounts and other information to explain the diminution of the trust fund, and secondly to remove and replace the existing trustees. Advising on and drafting proceedings before the BVI Commercial Court in relation to extending the powers conferred on a trustee, and authorising trustee remuneration. Advising the defendant administrator on claims under the under the Inheritance (Provision for Family of Dependants) Act 1975 concerning overseas property, the validity of UK and foreign marriages and divorces by both claimant and deceased, and the recognition in England of foreign polygamous marriage. Advising trustees on the CGT treatment of a chose in action when the trust is exported from England to Australia. Michael is also Lecturer in Law at Somerville College, Oxford, where he teaches property law to undergraduate students. Before coming to the Bar, he spent six years as Fellow and Tutor in law at Somerville College. 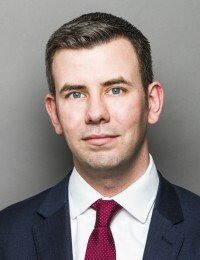 His research concerned trustees’ powers and duties and the remedial consequences of breaches of trust, with a particular focus on the so-called “rule in Re Hastings-Bass”, and was cited in the Court of Appeal in Pitt v Holt  EWCA Civ 197. He lectured, examined and gave tutorials on the law of trusts, land law and Roman law.